Two researchers who led a recent field study investigating potential impacts of deep-sea mining activities advocate that there is an important opportunity to establish informed guidelines for the extraction of minerals from the ocean, as activities are poised to commence in coming years. Population growth and increasing urbanization has ramped up demand for certain minerals worldwide. Several companies and national governments around the world believe extracting valuable minerals such as cobalt, copper, and nickel from the ocean has lower associated costs than land-based mining. Some are conducting field tests in areas where these s elements are present in high enough concentration to make mining commercially viable. Matthew Alford, a physical oceanographer at Scripps Institution of Oceanography at the University of California San Diego, and Thomas Peacock, director of the Environmental Dynamics Laboratory at the Massachusetts Institute of Technology, consider the potential costs and benefits of seabed mining. Their commentary appeared April 17 online in the magazine Scientific American. In a February field experiment, the two conducted a simulation of sediment plumes that would be created by seabed mining, using two kinds of novel implementation developed at Scripps. From onboard Scripps research vessel Sally Ride, they ejected plumes of particle-laden water (using samples obtained from a proposed mining area in the deep Pacific Ocean) like those that would be produced during such operations. Their goal was to understand how the plume disperses in the water column between the surface and the seafloor. From these data, researchers can assess how such plumes can affect marine life and over what distance. Alford and Peacock note that one ocean region between Hawaii and Baja California is understood to have as much accessible nickel - 76 million metric tons - as there is in global land-based reserves, for example. But while acknowledging the potential resources of the oceans, they argue that as international regulators develop policy, it is imperative to continue to connect with scientific researchers that have the relevant expertise. "A key consideration regarding seabed mining is the role of sediment plumes," said Alford. "Using a combination of the latest ocean measurement techniques and modeling, and collaborating with ocean biologists, we can help determine their impact as regulations are being developed." The agency that regulates ocean mining is the International Seabed Authority (ISA). The authors recommend that operations take place on a limited scale hand-in-hand with academic researchers with the involvement of the authority. 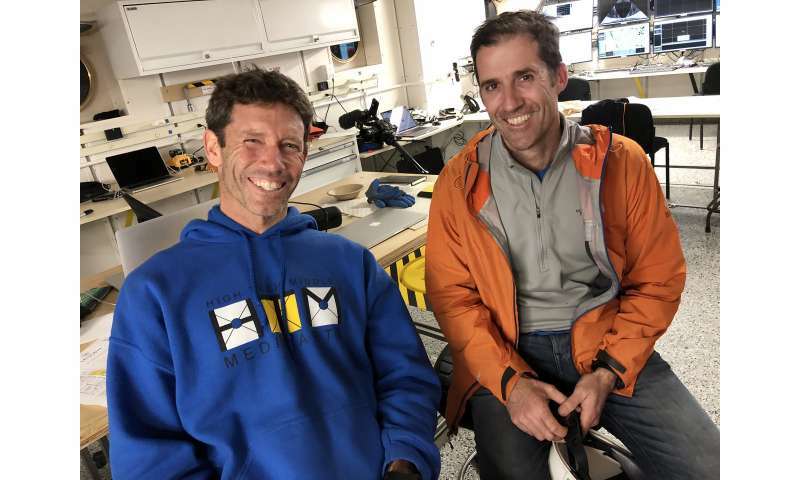 The ISA, the U.S. Geological Survey, and a private company, Global Sea Mineral Resources, all participated in the February Sally Ride cruise in what the researchers consider a model of collaboration going forward. The analysis complements recent studies by Scripps researchers and others that have shed light in recent years on the heightened vulnerability of deep-ocean ecosystems to disruption. "While substantial work has already been done, there is much still to do to understand the future of seabed mining," said Peacock. "We look forward to working with all parties concerned to help assess the best way forward."